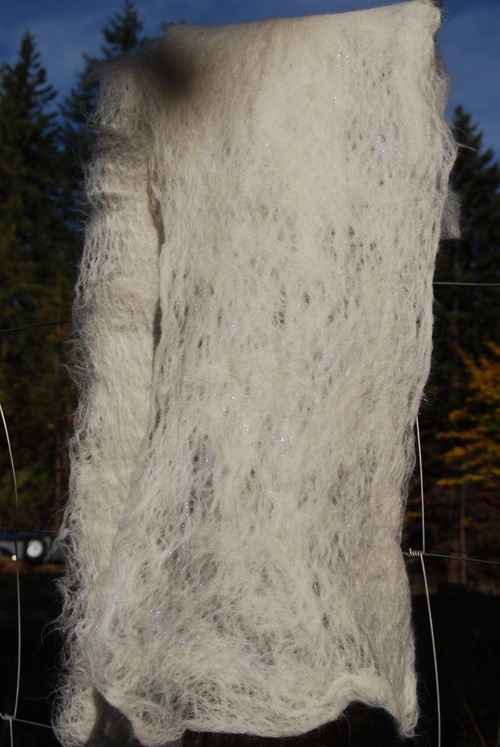 Create a beautiful alpaca scarf! Please bring a large bath towel for drying your finished scarf. If you prefer to pay with check or cash please call or email to sign up. You can pay at the class. 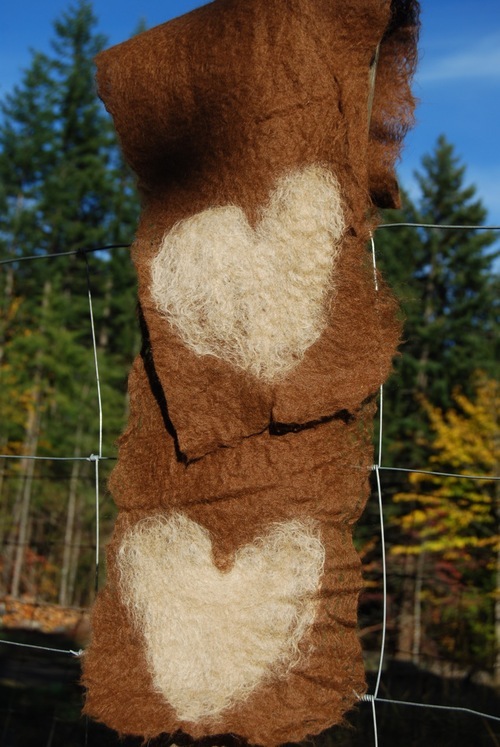 Cedar Creek Fiber Arts is offering a beginning wet felting class. 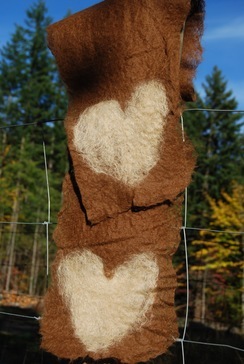 Learn the basics of wet felting to create beautiful scarves, wall hangings and your own personal art. All materials are provided to create the felt. Please bring a large bath towel for your project. The cost of the class is $50 Please plan on a 2 to 3 hours for the class. Refreshments will be provided.